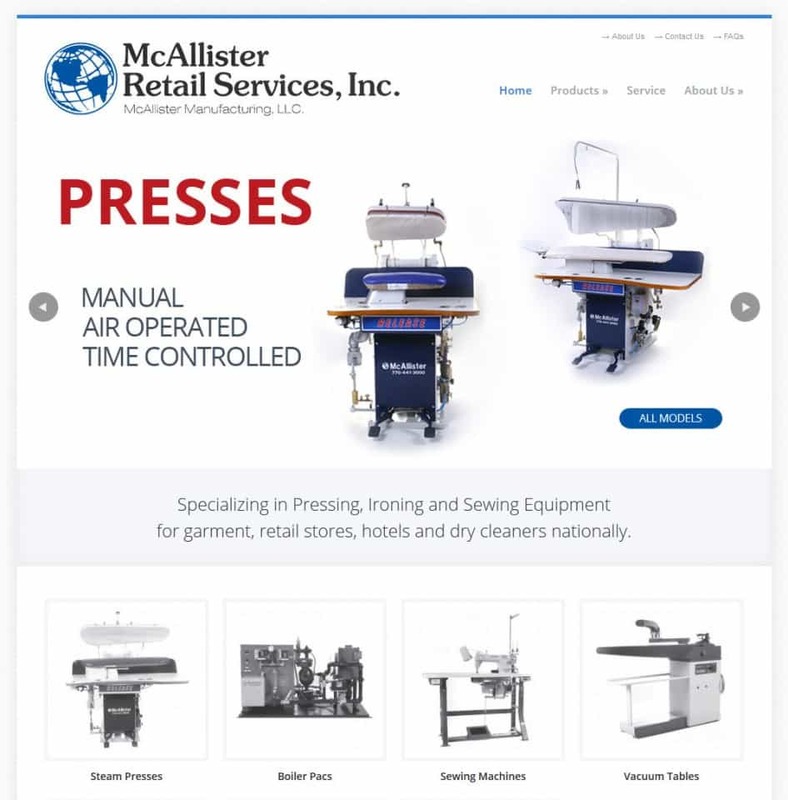 McAllister Retail Services, Inc. is proud to offer our line of pressing, boiler, finishing and sewing machinery. McAllister is now an Original Equipment Manufacturer with four manufacturing facilities producing machinery for the garment, retail stores, hotels and dry cleaners nationally. We are very unique as we deliver, install and service nationally, utilizing our staff of steam and sewing technicians. For on-going support and service we have over 300 agents nationally who can respond to your needs quickly; and with genuine replacement parts.